Happy 1st Birthday to Energi! On April 14th, 2018, approximately at 14:42 UTC, Energi was born. 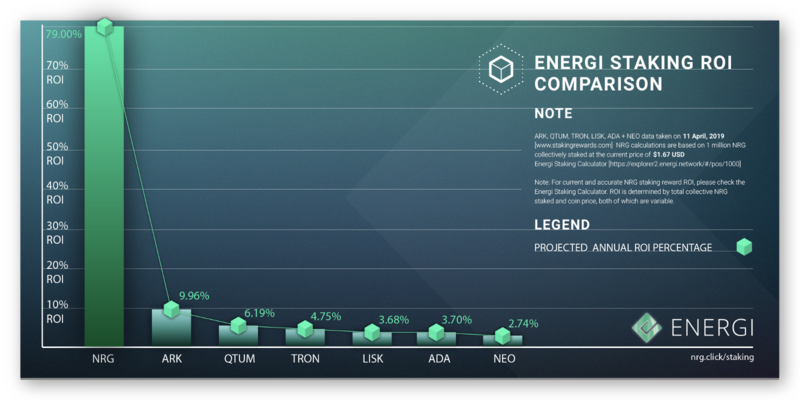 Energi (NRG) was launched into a cryptocurrency market that continuously declined in value and caused many cryptocurrency enthusiasts to lose faith. With the rapid increase in ICOs not delivering what they promised and/or founders holding the majority of the supply due to pre-mining before launch, many people began to lose interest in a market that promised positive change, decentralization and full transparency. Energi came together with the intention to build trust, provide full transparency to users and create a positive impact in the cryptocurrency space. Not only did Energi perform a fair launch with no ICO and no Pre-mine, but an exact time and date were announced to the community prior to Energi’s mainnet launch. 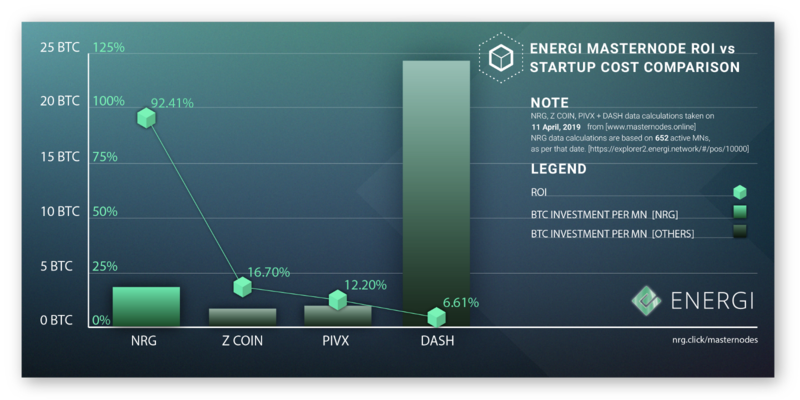 With our core fundamentals and features, we believe Energi was and is a powerful cryptocurrency that did not need the support of an ICO to grow within a bearish market. We have accomplished so much within the last year in what appears to be one of the worst cryptocurrency markets to date and we are so excited for the future of Energi. In this article, we will review the big accomplishments Energi has made within the last year and discuss the strategic goals we have set for the next year. 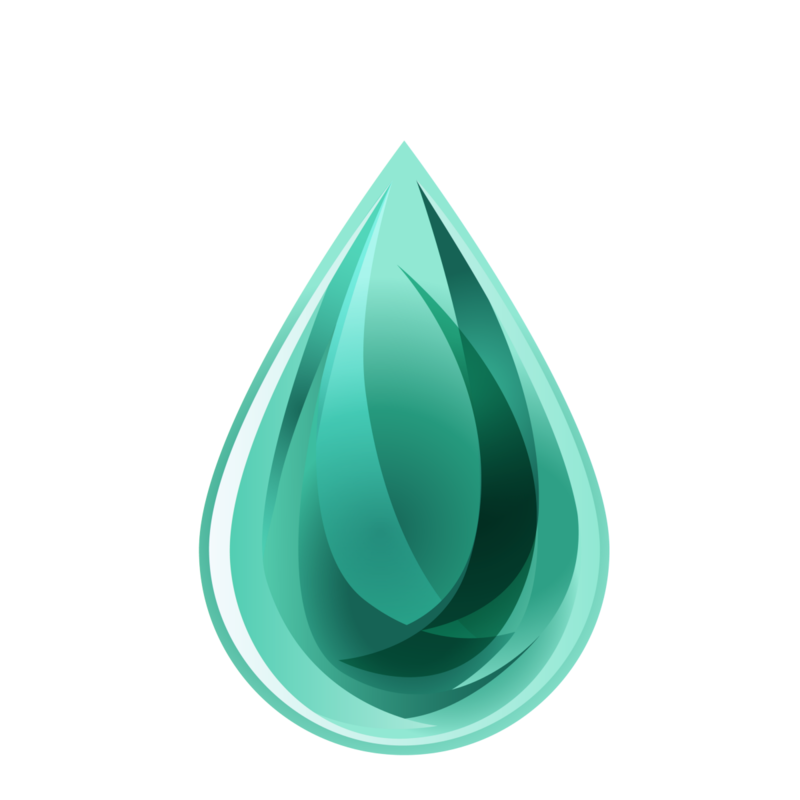 Instead of doing an ICO, Energi conducted multiple rounds of Earndrops to disperse rewards for people who engage with our community. In order for us to process Earndrop information, we ask participants to upload quality information which includes clear non-mirrored pictures, readable text in images, and non-offensive usernames. We have a list of tasks that users are able to complete by engaging our social media pages such as creating a tweet about Energi, following us on social media and joining our Discord/Telegram channels. As of April 14th, 2019, we currently have 32350 Earndrop participants and are continuing to have more join every single day. With the conclusion of our first Earndrop round, we distributed over 1 million NRG coins across 20,000 participants globally. Once our Earndrop rounds 2 (USA and Canada) and 3 (New Zealand, Australia, and Europe) reach 20,000 participants each, we will hold our final round which will be another global round. On September 18th, 2018, Masternodes went live and rewards were distributed to Energi users who had active NRG Masternodes set up in their Energi Core Wallets. 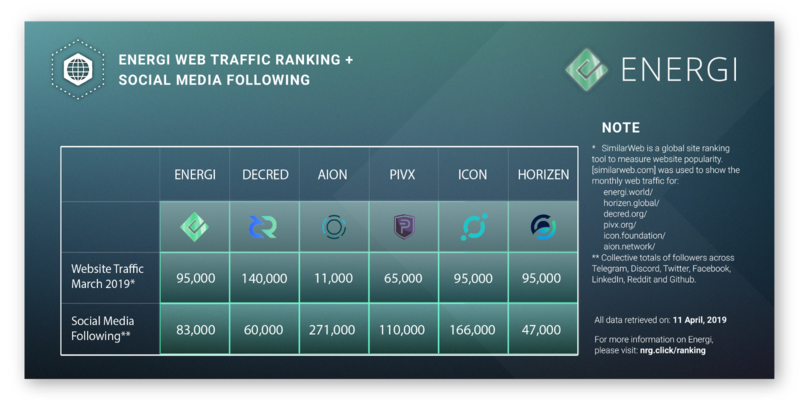 Masternode rewards were distributed approximately 5 months after launch to ensure fair distribution and give community members plenty of time to accumulate. 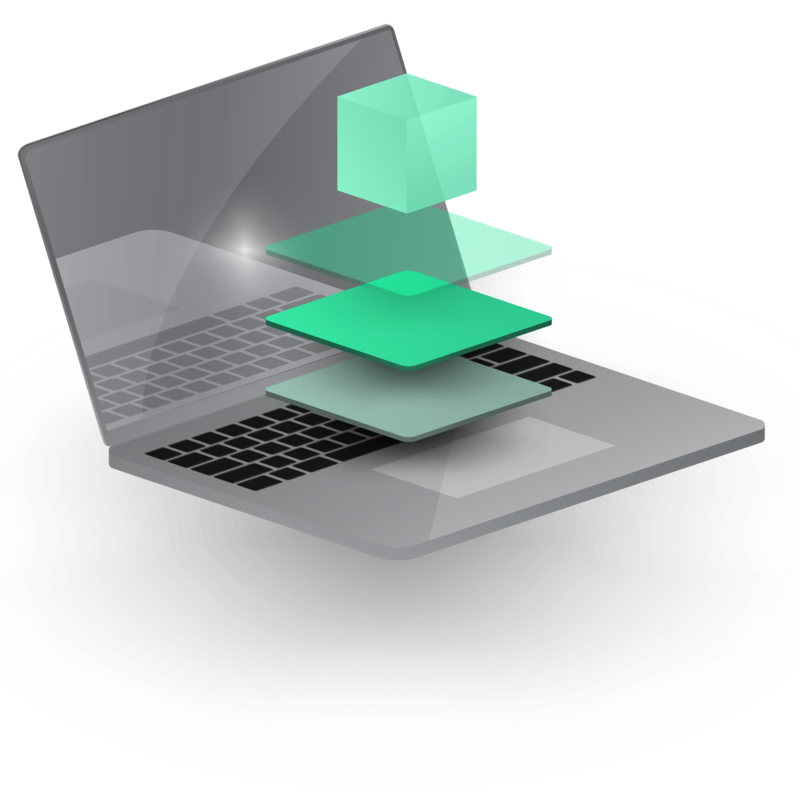 With the power of Energi Masternodes, they provide level 2 scalability to the Energi network and possess the Instant Send feature which allows for instant transactions, even in times of network congestion. Transactions can be made securely and instantly ahead of the blockchain, as they are approved by a quorum of Masternodes. Instant Send payments enjoy the same immutable transaction history as regular transactions, as they are later resolved on-chain as the network is able to. With the current amount of 650 active Energi Masternodes and growing, Energi Masternode users will be able to participate in governance and voting rights on how to best utilize treasury funding of Energi. We would not be in this position without the support and commitment from our community members and we would like to sincerely thank each and every one of them! As of February 26th, 2019, at approximately 17:00 UTC — the exact block height the transition occurred was at block 437600. Energi is now fully transitioned to a Proof-of-Stake (PoS) consensus model. We are so excited to now have a method that will allow NRG holders to easily stake their coins onto the main net and earn Energi! Since the beginning, Energi has created relationships with some of the biggest names in cryptocurrency. From well-known Cryptocurrency YouTubers like Data Dash to being listed on KuCoin Exchange, Energi will continue to become a household name around the world. Our plan is to continue to expand our marketing efforts to bring awareness and to broaden our community. Our next big strategic goal for 2019 is to release Energi 3.0 — a smart-contract platform adapted from Ethereum, compatible with apps written for Ethereum. This major update enables virtually all of Ethereum’s capabilities while incorporating our Treasury, Masternodes, and Governance systems, all-in-one. Energi will begin adopting existing Ethereum infrastructure such as MyEtherWallet. 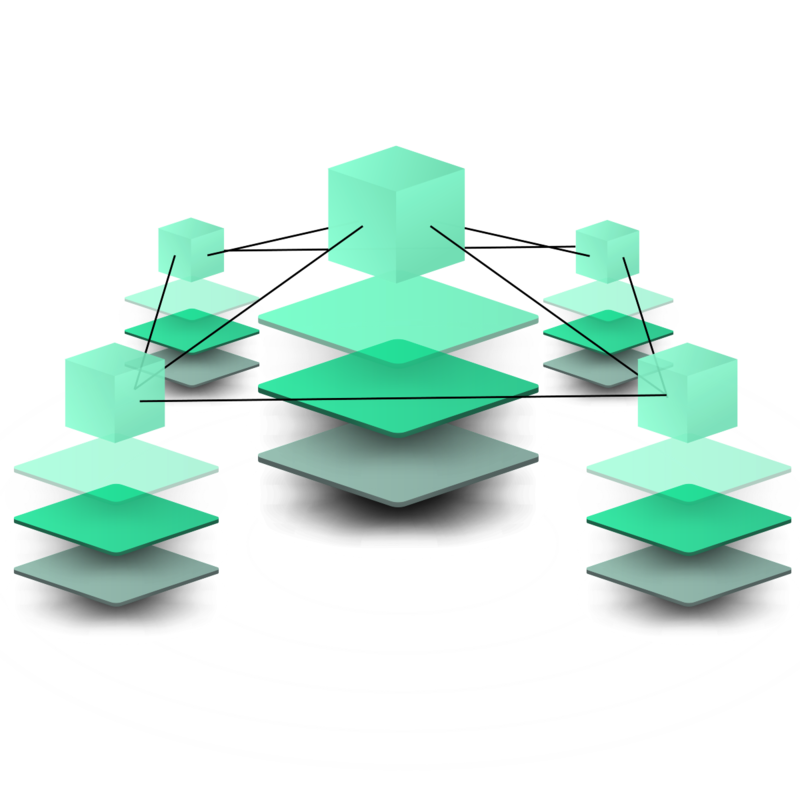 This upgrade will also enable Decentralized Applications (dApps) to migrate to the Energi ecosystem. By doing so they will benefit from our Energi Defense team, our incubator, and other expanding services. We will develop our very own Energi Mobile Wallet — Designed to be as easy to use as Venmo and Cash App, being able to sync with phone contacts, and making Energi payments easy for users and merchants. We will also expand the Energi Mobile Wallet to feature a one-click conversion between Energi and Energi Gold (a stablecoin built in Energi like Maker’s DAI, pegged to the price of gold). Upon the Energi Mobile Wallet completion, we will start major campaigns for pushing Energi adoption worldwide, targeting the countries where it’s most needed. We will also begin onboarding the most impactful blockchain projects and dApps into the Energi platform. Energi will also begin giving grants and providing support via our Incubator Program for what we determine to be the most powerful upcoming dApps in the space. The future looks bright and we couldn’t be more excited to show the world what Energi is truly capable of! Happy 1 Year Birthday to Energi and a huge thank you to everyone involved! May we continue to celebrate our accomplishments together and prepare for yet another great year with Energi!